My dad likes to call it the “perfect storm.” Fifty years ago, when he was 25 he managed to graduate from medical school in New Zealand and marry my mom. Fast forward to the present day meant that in December he celebrated his 50th class reunion, his 50th wedding anniversary and his 75th birthday! This was cause for celebration so my eldest brother started organizing and rented an epic cottage near Picton, in the south island of New Zealand in the Marlborough Sounds region. I have good memories of the area, as my parents and I were there when I was 15 and enjoyed a fishing trip where I caught a barracuda (with the help of the fishing guide! ), and then I was there at age 25 visiting a friend and went mountain-biking along the Queen Charlotte track and wine-touring. Since Scott is a teacher, and his union mandates that he cannot tack on holidays before or after the official Christmas break, he had to stay home in Canada. His vacation wouldn’t start until December 22nd, when the reunion was practically over. This was a tad disappointing, but since the emphasis wouldn’t be on exploring and adventuring, I vowed to bring him back another time. 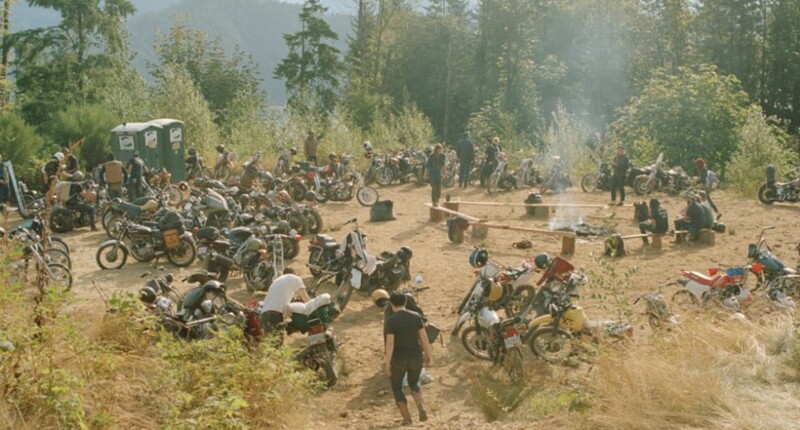 I enjoyed my time at Cam’s place, since there is a mob of teenagers and three lovely foster boys, plus an adorable golden retriever, two kittens, a pool, and a fun custom motorbike (formerly a classic NZ farm bike now “cafe racer”)! It was really wonderful just enjoying the sunshine, devouring good books, making lemonade (their tree was loaded), baking up a fancy pavlova for the twins’ 19th birthdays, and just puttering around with my niece Michaela. After a week of being a proper Aunt (I went to a graduation ceremony, piano performance, picked up kids at schools!) I was bundled up in my eldest nephews’ car with the teenagers for a roadtrip to Wellington. From there we took the ferry south, and finally met up with my parents, my other brother and his family for a grand total of 16 of us at the cottage! It was such a blast being with everyone. We managed to create some fantastic meals, have a “talent show,” played lots of cards and board-games, go fishing, went cliff-jumping, swimming, sea-dooing, and generally just soaked up cottage living. A big highlight was definitely taking over the Picton movie theatre when all of us went to see the latest Star Wars film. I felt a bit badly for the two other people in the audience, but it was good times. I love how lush and wild the south island is with its crazy, twisting roads. While I did zoom around my brother’s neighbourhood on the motorbike, it would take some getting used to being on the “wrong” side of the road, if I was to do a proper motorcycle tour with Scott. I was intrigued by the sounds of the “Forgotten World Highway,” which apparently is a popular biker road in the north… perhaps even Hobbit country? After a whirlwind week, I had to start my journey home with the goal of being back in Vancouver for Christmas with Scott. Unfortunately, my domestic Jetstar flight (NEVER TAKE JETSTAR!) was 8 hours delayed with little to no communication about the issue. This meant that I missed my flight home to Canada and was devastated. Somehow, AirNZ managed to get me on a flight to San Francisco the next day and I cruised into Vancouver around noon on Christmas. The stress was ridiculous, but kind of a First World problem. I am simply grateful to have had the opportunity to rip around the world and be with family for celebration!